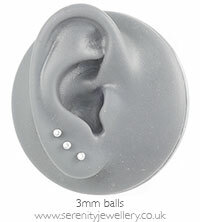 Hypoallergenic 316L surgical steel labrets with 3mm jewelled screw-on balls. The flat back makes these particularly comfortable to sleep in. 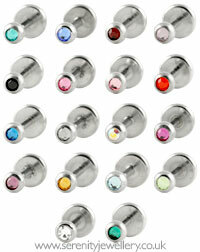 What an inexpensive way to allow me to change he look of a labret I already have. The jewelled screw on ball fits my existing labret perfectly! 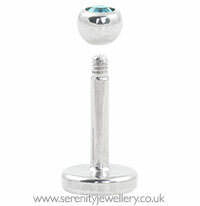 Good quality, looks stunning! Bought this as I have multiple ear piercings. My original earrings with butterfly backs were digging into me whilst I was sleeping. These are much better but a wee bit fiddly to get in, hence why I have given them 4*, but once they're in they are fine and they are very comfortable. 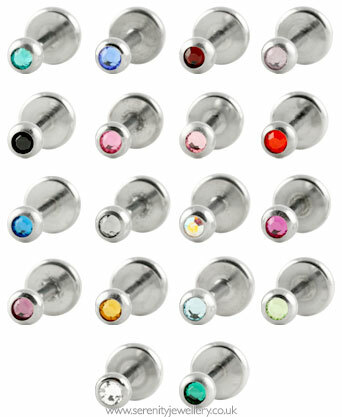 Perfect small studs to leave in. Either for friends and family, or yourself.